Our Website Hosting services are second to none for uptime and monitoring. Plus, our technical staff is on call 24/7 for any service issues. Our Hosting pricing starts at $9.95 per month, and if you pay for a year up front, we give you 2 months free. 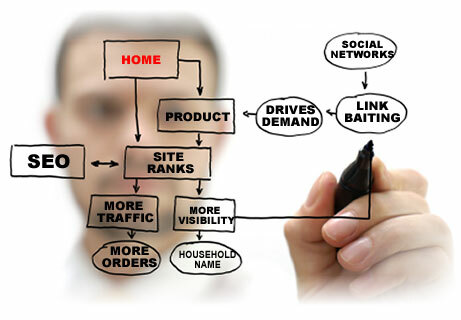 Search Engine Optimization (SEO), Web Site Promotion and Linking Strategy Services that work. Guaranteed by implementing our SEO Search Engine Optimization, Search Engine Positioning and Search Engine Submission Services. Guide the millions of Internet users through the maze - to your site! Our promotion partners have developed numerous secrets to help get your site listed higher on all the major search engines - Yahoo, Google, MSN, and many others. A digital video slideshow is a great way to show your pictures to friends and family on many occasions - birthday parties, a wedding or an anniversary, sports banquets or as a memorial to a loved one. Because your photos represent precious memories we work to create the highest quality slideshows. All photo montages are not only fully professional in quality and appearance but they are unique because they are produced by a former television commercial producer as well as a skilled video editor. All photo slide shows are available on DVD that can be played on both your computer and living room television. We will create a professional video presentation for your website, a video guaranteed to satisfy the needs of your company. Our web video team has a background in television production producing commercials for the likes of ATCO Raceway and Kentucky Fried Chicken. Our lead videographer has interviewed Actor Martin Sheen, Homeland Security Chief Tom Ridge and racecar driver Mario & Michael Andretti. We're comfortable behind a video camera, comfortable working with the famous and infamous and will produce a web video with the same high standards adopted from our experience in broadcast television. • Flash Drives ... and this is just the start! Offering full service, custom apparel design. We specialize in custom designs using state-of-the-art technologies and machinery. All of the design work and embellishing is done on site. We work with our customers on a personal basis to ensure that they receive the attention they need to accomplish their desired results. Our motto is - If you can think it... We can make it! At first glance, digitizing art for embroidery machines may seem like a simple and procedure that anyone with computer skills can do. This is true to a point; however knowing how to work punching software is only the first step. Converting flat art, a screen, or a printed image into an embroidery file requires years of experience with embroidery machines and working with an array of fabrics -- and, it's also essential to know the embroidery production process. Custom Printing Services has that knowledge and experience. When you combine our experienced knowledge to the most advanced digitizing software available and state-of-the-art embroidery equipment you get the finest embroidery results available. We guarantee satisfaction of your design by providing superior stitch-outs. And we do so long before the first garment of your order is embroidered. Let us show you an example of our stitch-outs.